First, let me start off by saying... I've been waiting FOREVER to start this planner! It's a 17 month planner and it didn't start until August... 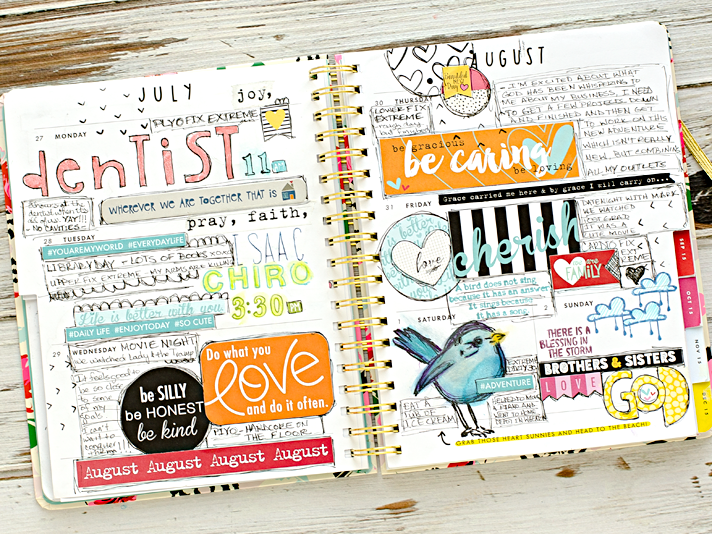 I'm so in love with the 2015-2016 ban.do Florabunda Spiral Large Planner and plan on using it as our family planner. This means I will include some memories in it. One of these days I'll walk you through it and show you what I love about this planner. Since I haven't had a lot of time to work on my scrapbooking much this will totally help me when I do have the time to work on my album. I love that I have everything written down and I'm having fun using my scrapbook supplies. I've been forcing myself to have at least 5 minutes of creative time a day... and this is just so perfect.